Happy Valentine’s Day! This day last year I made Mr. molten lava cake. 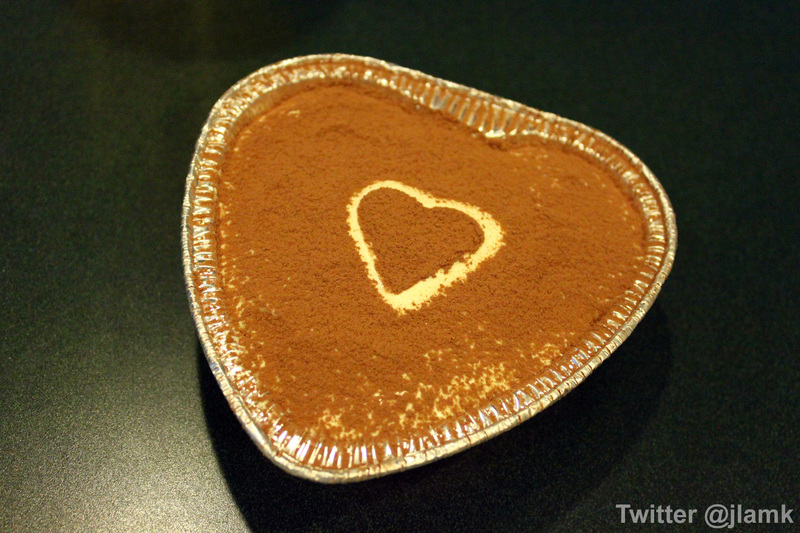 This year, I made a Tiramisu and I would like to share the recipe of this easy-to-make dessert with you. This recipe can fill a cake pan sized 8 in x 8 in x 2 in deep. Traditional recipe calls for mascarpone cheese, but it’s not available at all grocery stores. I replace it with cream cheese because it’s more common. The flavour of cream cheese was masked by other ingredients so it’s not over-powering. I also added some Kahlua to spice it up! 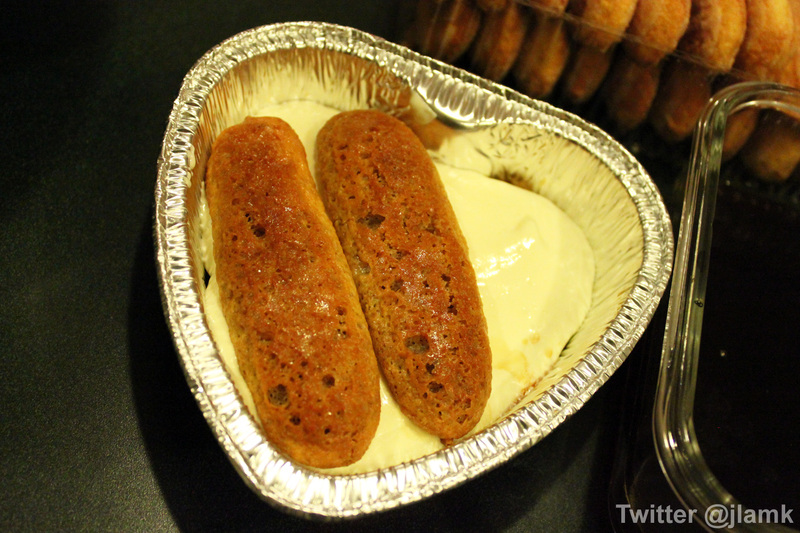 Add the cream cheese in the mixture from step #2. 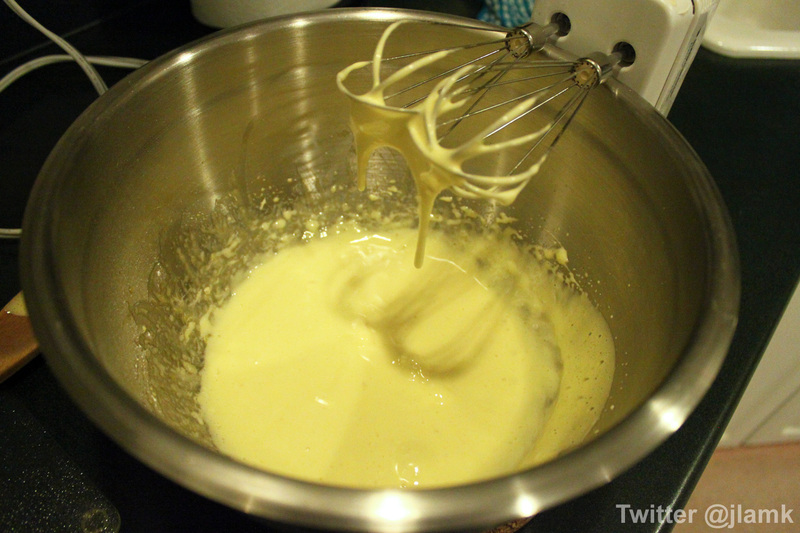 Beat at high speed into a mayo-like mixture. Put it in the fridge. 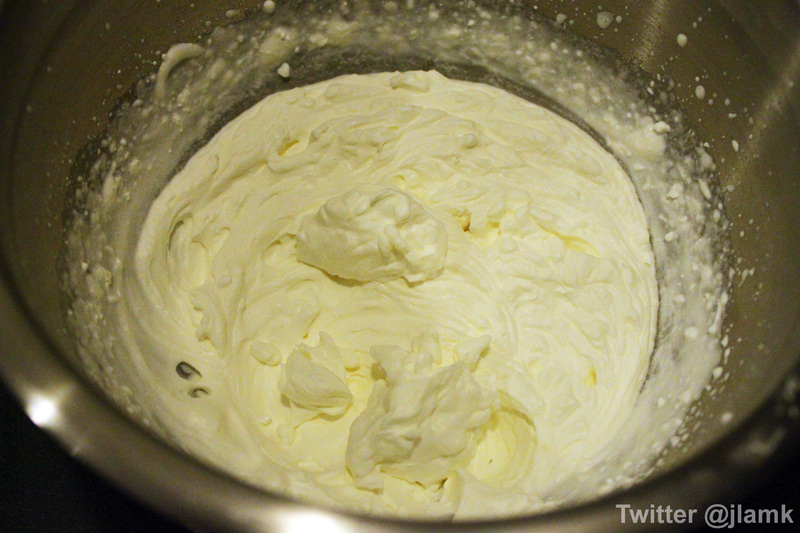 Whip the whipping cream until stiff (I did actually put it above my dad’s head to check!). 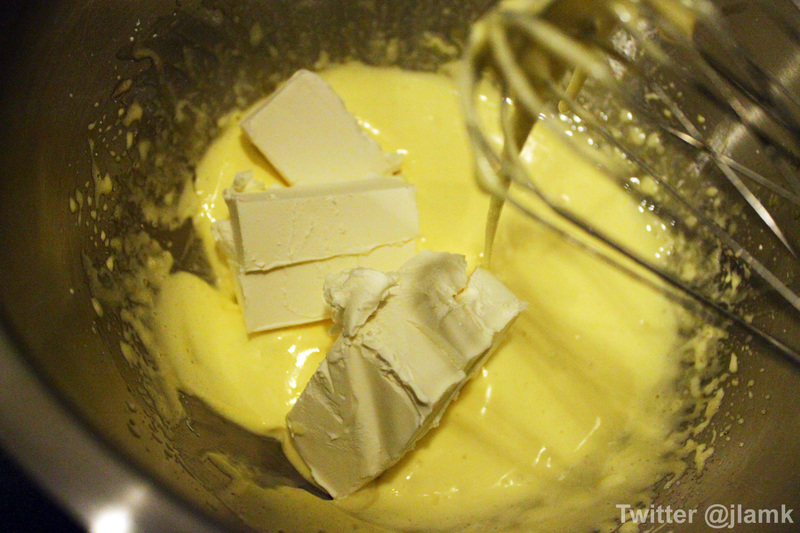 Take the cheese mixture from the fridge and fold in the whipped cream until nice and creamy. 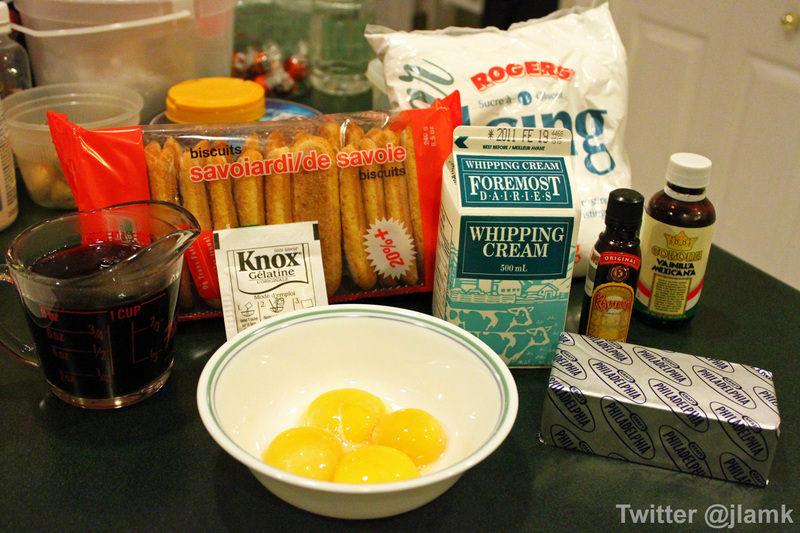 You can add some Kahlua to the cake mixture too for an extra kick! Pour the coffee into a flat container; add the Kahlua for flavouring. One at a time dip the lady fingers in the coffee and place them in the cake container. 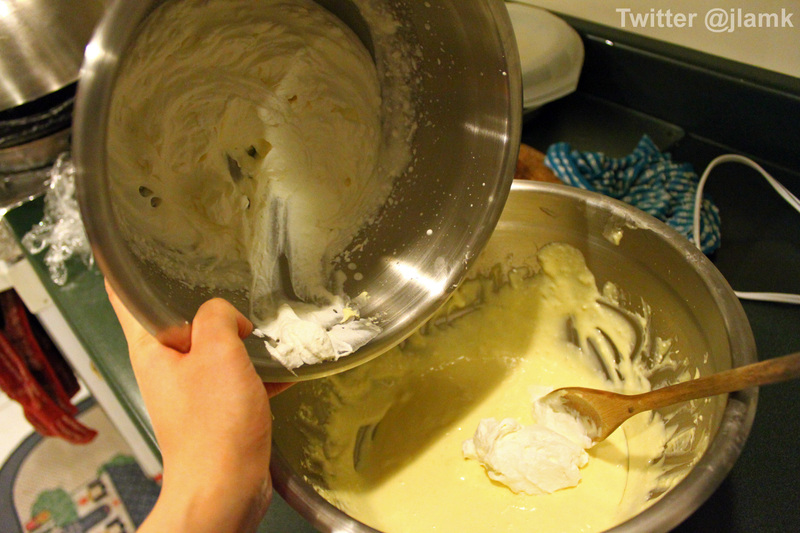 After filling the first layer of lady fingers, pour a nice layer of cake mixture from step #5. 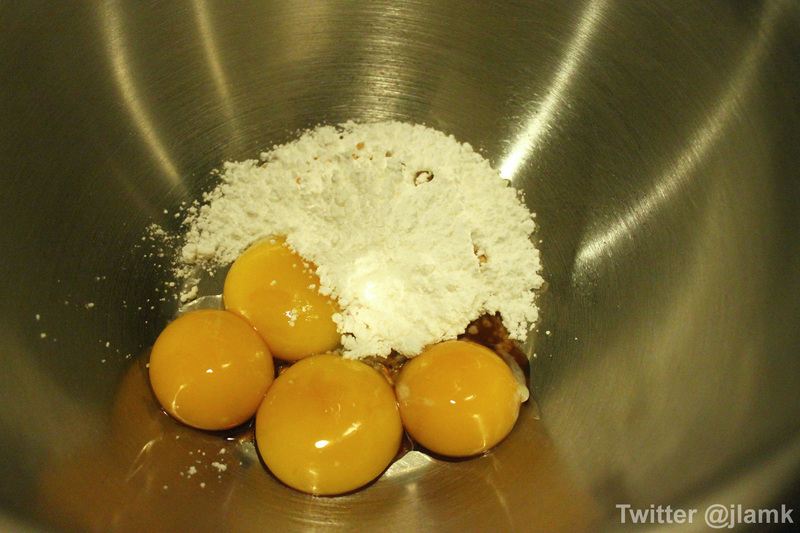 Add another layer of lady fingers and top it with the cake mixture. 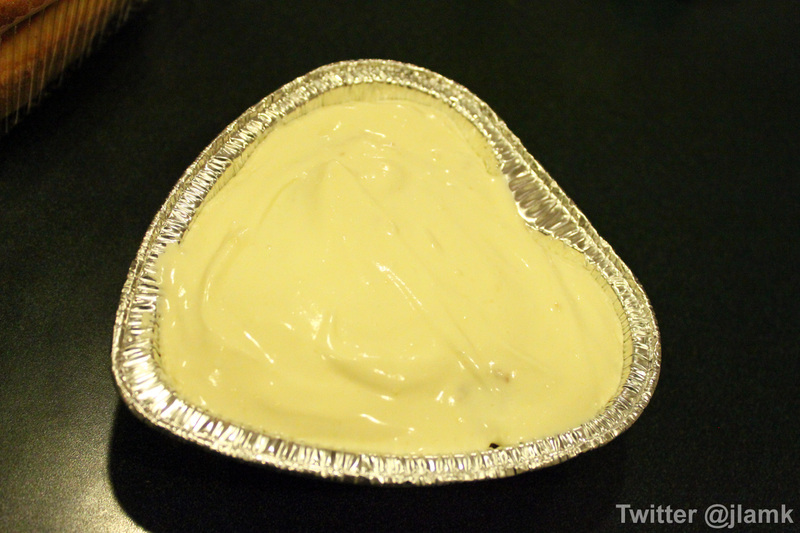 Wrap it with aluminum foil (do not use plastic wrap as it sticks to the cake mixture) and chill it in the fridge for at least 4 hours. Take the cake out of the fridge. 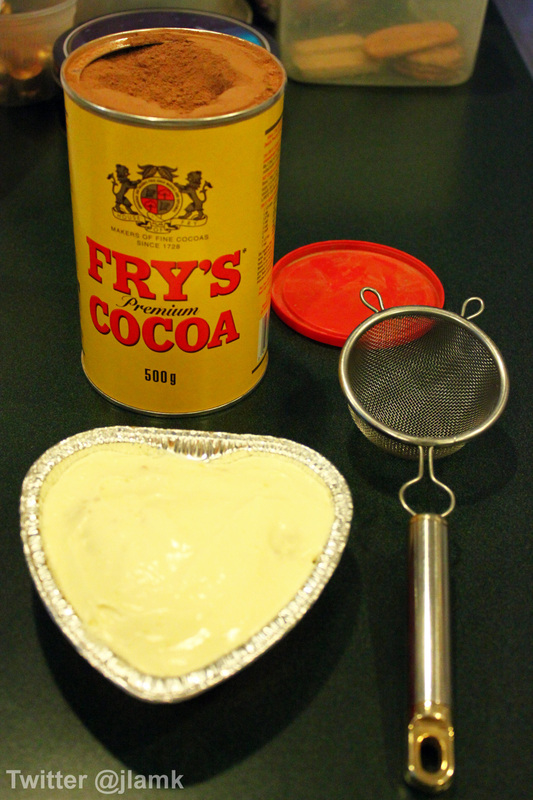 Sprinkle cocoa powder on top to finish. 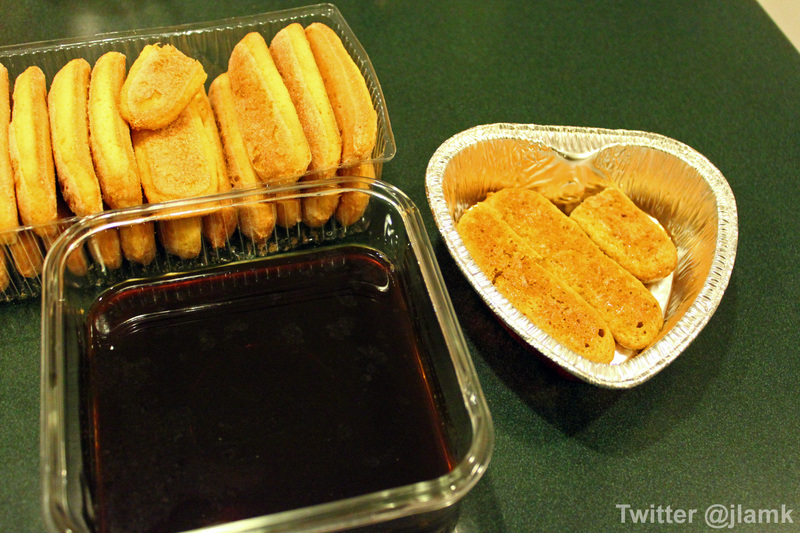 In this case, I found a heart-shaped container and a heart-shaped cookie cutter to be more fitting for the festivities. Mr. gave me a thumbs-up so I hope you guys would enjoy this recipe too!